From the many independently published photobooks that revolve around personal projects, Illusion is the only publication that meets our expectations. Not only does it offer a different approach (most of the other books adopt the approach of street photography), the work has also taken a long time to germinate—something that is rare amongst independent publications these days. The photographs in Illusion offer a journey that can be enjoyed over and over again. There is good synthesis between photographs, layout and design. There is no particular image that is very captivating or strong. However, in its entirety, this is not particularly important because Illusion is able to obscure the context of each photograph and make the viewers interpret the images individually or as a series. Such an approach is not uncommon, especially among younger photographers. However, compared to Illusion, it seems that the younger practitioners are a bit hasty to release their books. Illusion will become the standard for anyone interested to independently publish a photobook that presents her/his ideas. An intense understanding of the process of editing and designing, informed by clear ideas, is a must for every photographer, especially those who do not have a deadline to publish her/his book. Man should learn from every tragedy that happened. This is especially important in Indonesia, as we seldom take any lesson seriously. Because we keep forgetting the past, in turn, like what Kundera said, we often lose in our struggles against power. 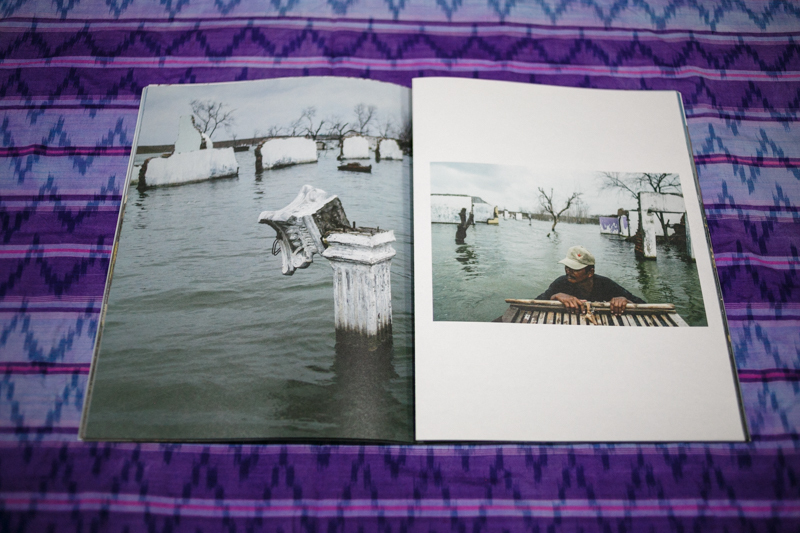 This book presents one instance of that struggle—it reveals the unconventional way Mamuk Ismuntoro portrays the Lapindo mudflow tragedy through his photographs of the landscape at the site in Sidoarjo, East Java. We do not know whether Mamuk has any political mission but his book tells us quite clearly that we should not forget our struggles against power. From Swan Ti’s Illusion and Mamuk’s Tanah yang Hilang, we understand that there is no one singular process in making a photographic project. We believe Mamuk struggled with his work, as it is doubtful he started the project by focusing on the landscape at the disaster site. In this publication, there is also a close collaboration between the photographer, the photo editor and the designer. In the end, they decided to appropriate the form of the Indonesian land deed as design for the book. This makes the publication interesting without additional gimmicks. The book clearly conveys Mamuk’s mission to struggle against forgetting. We first saw this project on Time Lightbox. We were captivated by many great pictures. However, the edit overwhelmed us. Subsequently, when the book was first published, we remained still slightly sceptical. 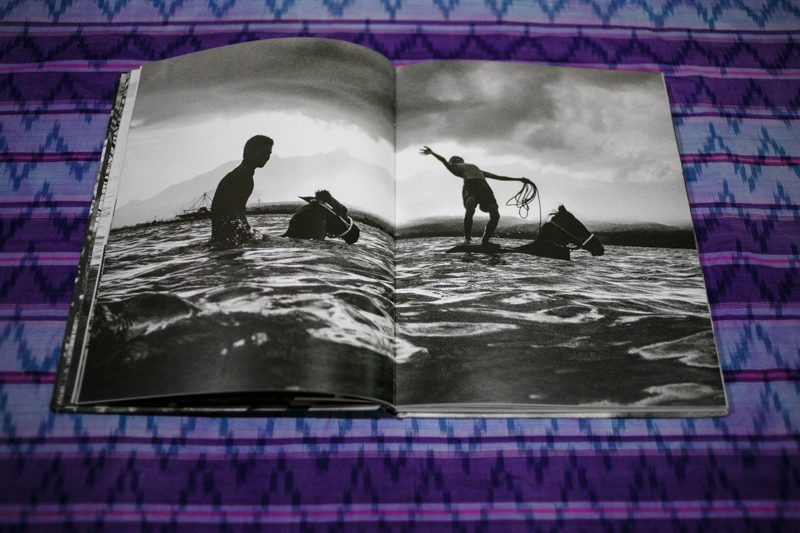 However, since owning a copy of the photobook, we have to say that we have been blown away by its quality and edit. Riders of Destiny is a classic documentary work. Romi Perbawa tells the story of child jockeys in Sumbawa—their upbringing and how their lives revolve around the risks that they should not face at such a young age. The book is special partly because it charts Romi’s transformation from a hobbyist to a full-fledged documentary photographer. Riders of Destiny is a testament of his perseverance and advocacy, which resulted in the reduction of the number of races from four times to once a year, greatly minimising the risks faced by these young jockeys. This publication is slightly different. This is a guidebook on street photography but we believe it is worth inclusion here. In general, 2014 has been a good year for street photography with the rising number of enthusiasts, and the emergence of different communities and events related to street photography. However, there are many differing references about street photography, which sometimes provoke unnecessary debates amongst various practitioners. Erik Prasetya is a name that cannot be ignored when discussing street photography in Indonesia. In this book, we learn about street photography from the person who has been shooting for decades in Jakarta, a city that is both chaotic and polluted. Over the years, practitioners of street photography in Indonesia have always referenced photographers from the west or from Japan, with Daido Moriyama heralded as prophet. This has led to many avid photographers mimicking the styles of their references without understanding the reasons why their idols made pictures that way. On Street Photography offers a possible approach to pursue street photography in Indonesia, with simple illustrations and examples of powerful images made from the last decade, which help to explain Erik’s idea of “banal aesthetics”. The book introduces not only the practice but also the philosophy behind street photography. It can also be used to understand the so-called western and Japanese approaches towards street photography. For now, On Street Photography is the only book that offers a comprehensive guide for pursuing this particular photographic practice in Indonesia.